Educational Toys for Kids Are the Name of the Game at Super Duper! We received complimentary educational toys for kids from Super Duper to facilitate this review. All opinions are our own. Picking out educational toys for kids in your family can be quite a challenge each holiday season. It can often be hard to find toy that is age appropriate, educational, and exciting at the same time. Finding quality toys that are purposeful as well as playful does not have to be a challenge this holiday however, because Super Duper Toys is now offering a variety of products that fit this description! Recently we had the chance to review five of their exciting toy products, and look forward to telling you more about them. Take a look below to learn about some of our favorites at Super Duper Toy as well as learn some exciting money saving offers for you to take advantage of. As mentioned we received five educational toys to try out in our own home. 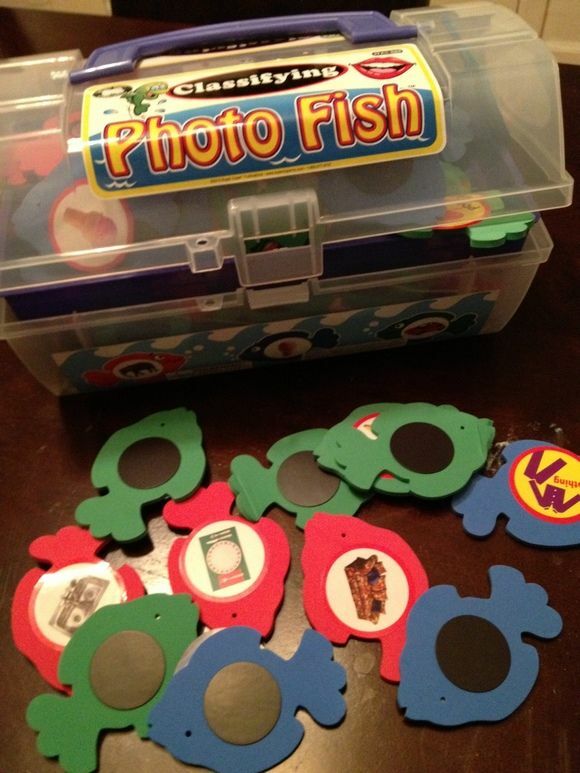 They were the Tongue Twister Pencils, Mouth Hand Puppet, Magnetic Mealtime, Hopping Frogs, and Photo Fish games. Here are some of our observations as well as recommendations for each product! The purpose of this game is to build language and articulation skills. 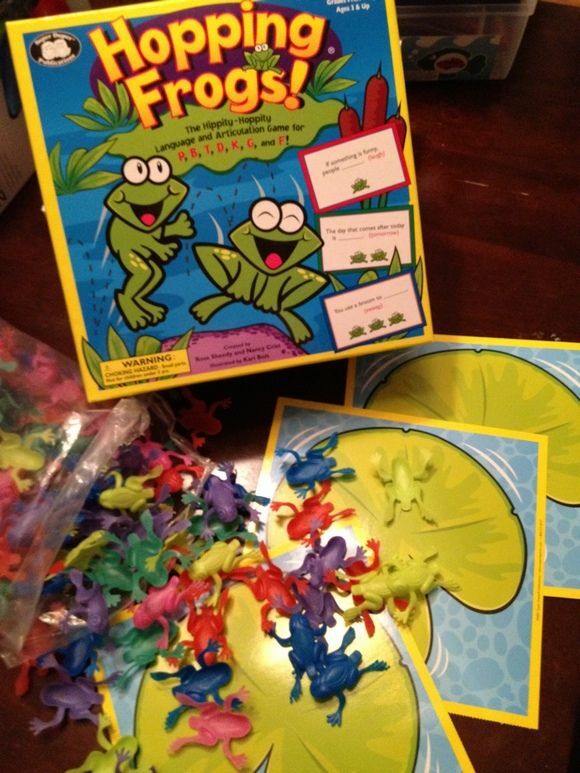 For grades Pre K and up, this game give children the chance to manipulate colorful frogs onto their lily pads while competing the sentences and learning to articulate the P, B, T, D, K, G, and F letters. This game is easy to play and easy to follow along with. It will not feel like work to a child but rather a fun game that is teaching them some valuable skills in the process! This game was one of my children’s favorite. In this game they get to manipulate the various food magnets to learn a variety of skills. As they manipulate the magnets they can learn to classify, create food groups, plan healthy meals, and so much more. The magnets are so colorful and my kids loved exploring with them. Plus, this activity fits nicely into a small carry around sleeve with handle which made it virtually mess free. This activity seemed a little strange at first, but my children quickly learned to like it. 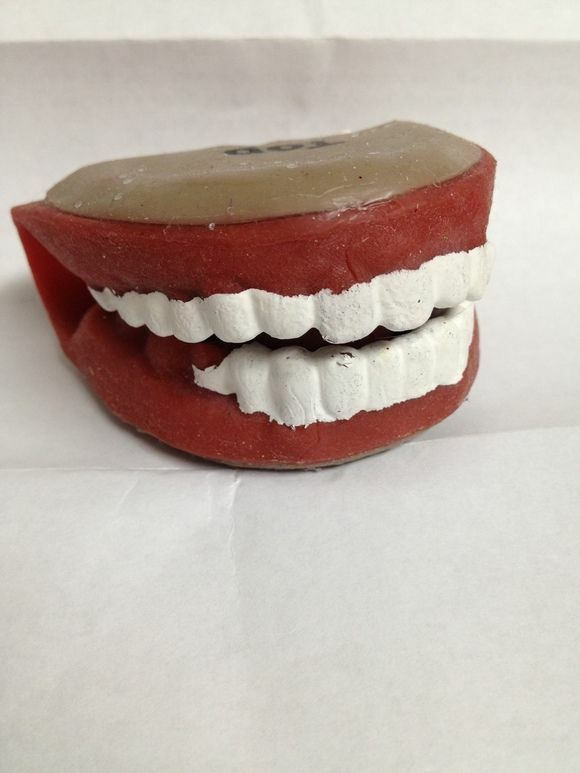 Included is a soft rubber mouth that opens and closes like a real mouth. Children can watch an adult demonstrate with the mouth how words sound when they are being sounded out. Students can use the mouth to read out loud, pronounce words and more. While it was a cool toy, a parent would need to do a certain level of research on how to use the toy to the best capacity. Who knew pencils could be so cool? 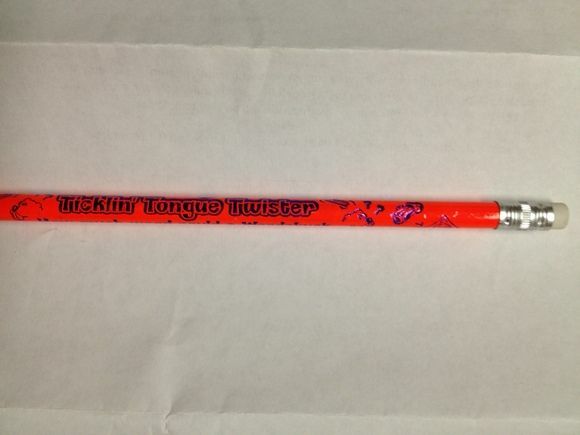 These tongue twister pencils are a bright neon color so you never lose them in a drawer. Each has a unique tongue twister printed on it that is so fun to read and gets kids experimenting with words. My daughter took these to her second grade classmates and even the teacher contacted me to see where I got them! The kids were just tickled to read them and read them to each other. They are now a class favorite. These would go great in a kids craft kit! As you may have noticed, the toys from Super Duper all have an educational element built into them. This doesn’t mean they feel like school work though. Each is colorful with exciting elements and hands on materials. My children no doubt felt like they were opening up and playing with some exciting new games. They were all made of quality products and construction, came with great directions, and are soon to become family favorites. I would recommend that anyone looking for fun yet purposeful gifts for children this holiday season check out Super Duper Toys and the quality products they offer. Super Duper Coupon: Save 15 % off educational games and toys for kids! Use coupon code DSSHPPTT at checkout to save 15% off Super Duper educational games and toys for kids! Plus shipping is free on all orders of $20 or more for anywhere in the United States and Canada! My daughter would love the hopping frogs and magnetic mealtime! Thanks for sharing! It appears to me that about 5 years ago, an order came down from senior management at the largest Canadian bookstore chain, to the effect that staff had to be more helpful. This takes the form of staff coming up to me in the store and asking if I need help. Sometimes 3 or 4 different staff people will try to &#p2#0;hel8&28221; me within a 5 minute period.The constant interruptions drive me mad. I actually asked one staff person if they had a “do not disturb” sign that I could wear around my neck. They didn’t have any, unfortunately.At an eBook store, no one cares if I take 5 seconds or 5 hours to consider a purchase. idara wolf recently posted..Garden of Life’s Perfect Food RAW Organic Green SuperFood Review + Giveaway! 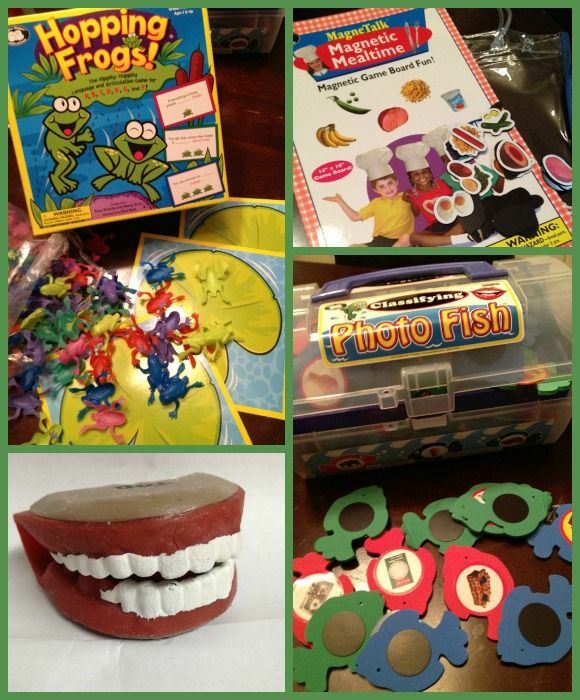 It is hard to find educational toys that are still fun and engaging. Hopping Frogs looks so fun and I know my kids would have a blast with that mouth puppet but I doubt they’d use it for the proper purpose! Those educational toys look great! My littlest guy loves fridge magnets that help him to learn, and when I was a child, so did I! 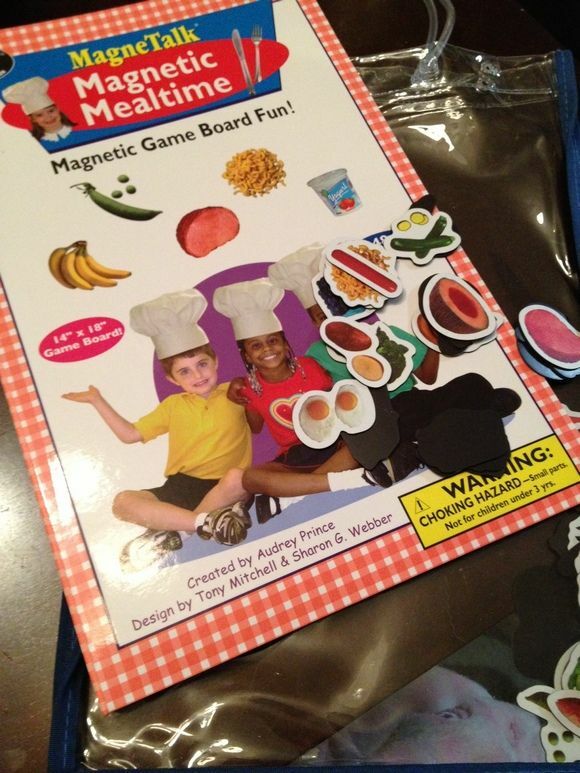 The magnetic mealtime looks like fun! Jenna Em recently posted..Nexus 7 Tablet from Staples & React Mobile Safety App! They all look like interesting and fun toys! I’m sure my nephew would LOVE the hopping frogs! I love it when my kids receive educational toys. I am all about my kids learning and having fun at the same time. The frog and fish games sound fantastic! My boys would love them. Great christmas ideas for kids! Bet my nephews and nieces would love them! Thanks for sharing! I love the hopping frogs – we’ve been playing with those for years; and I really love the tongue twister pencils. I need to get a supply of those for gifting in my children’s classrooms before school lets out for the holiday. These are great gift ideas! Magnetic mealtime looks like fun! The hoping frogs game ! Great suggestions! I have a question though, what’s the best among these materials for children aged 3-5 years? Currently, I let my kids use learning tablet called Vinci Genius which always keep them engaged, but I like looking for other learning materials which may be useful for them.